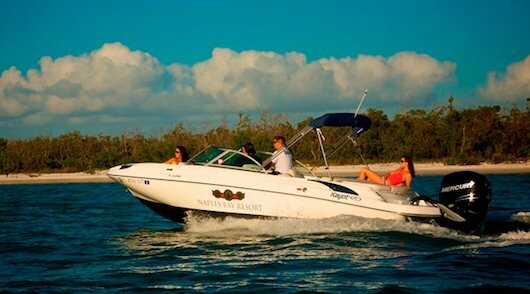 If you are looking for boat rentals in Naples Florida look no further than Naples Bay Resort, located in the heart of old Naples. And if you haven't booked a hotel yet, be sure to check out their BOATEL packages where you can enjoy a luxury hotel room along with a boat for you and your family to use. ...or enjoying a wonderful meal at one of our many fantastic restaurants in Naples. 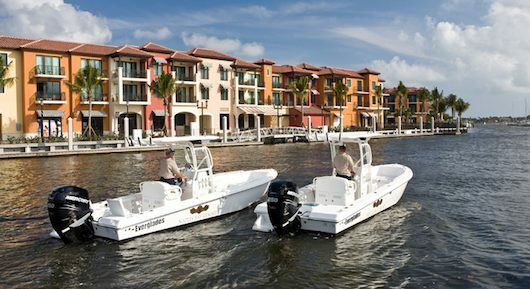 The Marina at Naples Bay Resort has a 97 slips which can accomodate boats as large as 90 feet long. There's a fuel dock, slip pump out service and power supply available for you. Inside you can also enjoy the Ship Store where you can buy tackle, bait, clothing, drinks and other necessities. ...so you can simpy cruise the beautiful waterways, enjoy nature and retreat back to your very own resort with five pools, a lazy river, cabanas, a spa, fitness center, tennis, and more. Half day boat rentals start at $235. A full day will cost you $335 and you can do a bay-only rental for just $75 an hour. 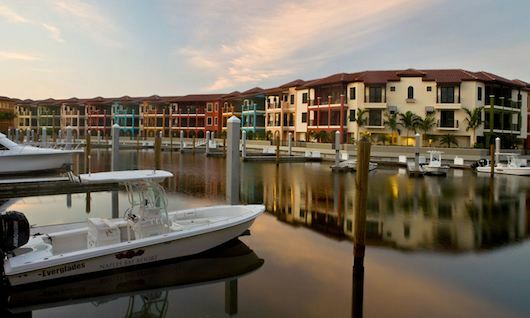 In addition to boat rentals, Naples Bay Resort also offers you bicycles, stand up paddleboards and kayaks for you and your family to rent and enjoy while here in beautiful Naples Florida. Take your bicycle rental to the beach for the day, peddle to the park in downtown, read a book under a tree then go to your favorite cafe nearby. A wonderful activity for the entire family, or just for yourself. Your rental comes with a helmet, basket, gear rack, lock and a map of bicycle-friendly streets in the area. Full day (8 hours) will run you $30 or you can get 3 hours for $15. Alternatively you can reserve your own bike the entire week for $110. Enjoy one of the world's fastest growing sports on the water. Also known as SUP stnad up paddleboards are a great work out and can easily be learned in our calm waters here on the Gulf. Plus, it's a great mild workout and an extremely fun activity for kids. If you have a small child, you can easily sit him down on one of these while you do the stand up paddling. If you're not comfortable standing up, no problem! You can kneel or sit as well. Enjoy one for a full day (7 hours) for $70. Half day (4 hours) runs $40 or you can get it hourly for $15/hour. With a kayak you can easily explore our mangrove forests and you'll discover a treasure of wildlife inside. You can find crabs, egrets, herons, otters, dolphins, fish and osprey throughout, making this a great activity for the entire family. After you build up that appetite from your paddling hit up Jack's River Bar and Restaurant and enjoy a refreshing swim in the pool. Or you can visit the many other restaurants on Naples Bay. A single kayak rental for two hours is $20 or $35 for a half day. A tandem for 2 hours is $35 or $48 for a half day.